Welcome today I am featuring an amazing couple who have a unique business catered towards children of all ages. I am excited to feature this company, as I have been intersted in bringing my kids myself here. 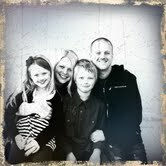 Evan and Shannon Thorbus are the creative force behind Kids Studio of Fine Arts. The husband and wife partnership are the proud parents of Noah (11) and Mae (7). Evan and Shannon were given the opportunity to purchase the Kids Studio of Fine Arts after Shannon worked as an Art Instructor for the previous owner for 2 ½ years. They are passionate about bringing art into the lives of those around them. For Evan and Shannon, what sets Kids Studio of Fine Arts apart is their goal of reaching and helping each budding artist to grow at their own level of creativeness! Classes are offered for kids ages 2 and up to adults. There are also a series of classes designed specifically for Homeschoolers. 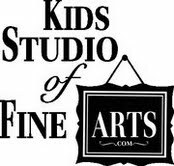 Kids Studio of Fine Arts is located in Roseville, this unique business is becoming very well-known throughout the community. Ask them about their FREE trial Art Classes each week (no strings attached). Contact the Kids Studio of Fine Arts today! Our Very talented Instructors teach the Fine Arts to all levels by using age appropriate lessons and methods. We provide a nurturing, non competitive artistic environment for ages 2-Adult. You or your child will be provided with only the finest quality supplies while being introduced to many different techniques, materials and mediums for optimal artistic growth. A relaxing Studio environment is created by using soft music and plenty of visual aids to optimize the students focus and imagination. Here at Kids Studio of Fine Arts we acknowledge and embrace the theory that each budding artist will grow and develop at his or her own individual pace and we welcome all levels! *PLEASE CALL US TODAY TO SIGN UP FOR A FREE TRIAL ART CLASS!